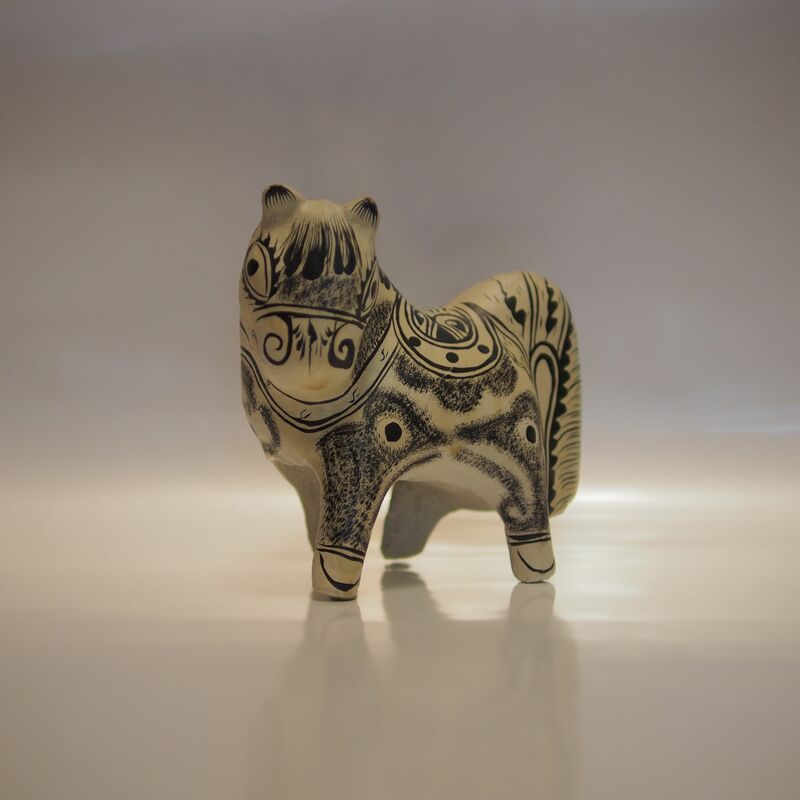 This sweet little clay horse is by the Hu Xin Min, an artisan who successfully injected new spirits into the traditional craft. The Feng Xiang province has a long and famous for making clay figurines, they are dramatic and bold in patterns, a blessing present for the Chinese New Year, festivals. The history of Feng Xiang goes back to the Tang dynasty, the first emperor Zhu Yuan Zhang had the 6th division of his army based in the area. During peaceful time, these soldiers from the south made clay figurines as a pass time. Later on, the soldiers settled in the village and named it the 6th division village and the tradition of craft of clay toys started.